A political thriller set at the United Nations, The Interpreter draws good inspiration from the real world of dictators engaged in dirty diplomacy, but also stumbles on too many overlapping coincidences. 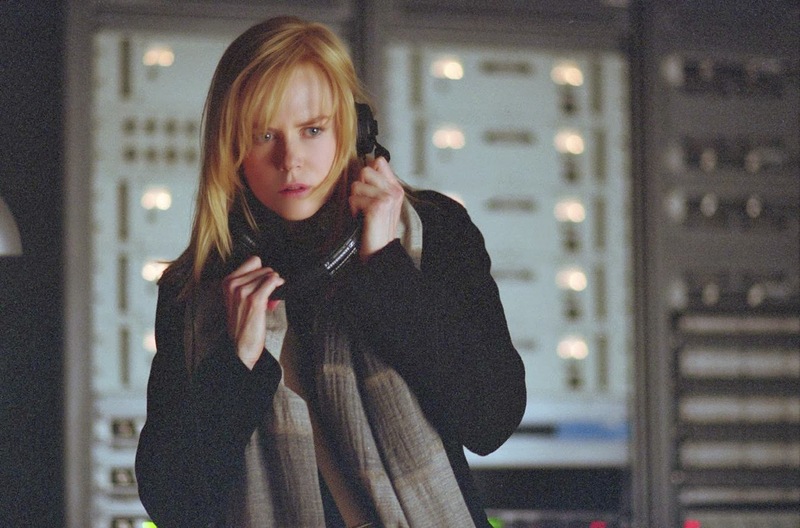 Silvia Broome (Nicole Kidman) is an interpreter working at the General Assembly of the United Nations. One late night, she inadvertently overhears a whispered conversation apparently discussing the impending assassination of a world leader. She soon determines that the target is likely to be Edmond Zuwanie (Earl Cameron), the brutal dictator of the war-torn African nation Matobo. Zuwanie is being accused of committing war crimes, but is travelling to New York and wants to address the UN to argue his innocence. Silvia alerts the Secret Service, although ironically she herself is originally from Matobo, and in her past participated in movements to oust Zuwanie. Agents Tobin Keller (Sean Penn) and Dot Woods (Catherine Keener) are assigned to the case, and Tobin is immediately suspicious of Silvia, her background, and her motives. Tobin is dealing with his own recent loss, and it emerges that Silvia has also suffered family tragedy as a result of Zuwanie's repressive regime. Zuwanie's chief of security arrives in town and starts to intimidate Silvia, while outspoken opponents of the Zuwanie regime start to meet untimely deaths. A huge security operation is mounted to protect the dictator, and Tobin races against time to prevent an assassination and uncover Silvia's real motives. The Interpreter is a smarter than average thriller, with a narrative that echoes real-world turmoil, Zimbabwe and President Mugabe providing the closest parallels to the fictional Matobo and President Zuwanie. And for long stretches Sydney Pollack, directing what would prove to be his final film, generates satisfying tension from the threat of an assassination, the murky history of Silvia, and the unease between her and Tobin, while avoiding the mindless action that bedevils most thrillers. But gradually the chases and explosions creep into the second half of the movie, as the intelligent ideas run out and the script (co-written in some part by up to six writers) defaults to layering plenty of incredible coincidences. Not only is Silvia from Matobo, she is also a victim of Zuwanie's violence, a political activist against his regime, a freedom fighter, her brother is equally involved with opponents of the President, and she just happens to be at the scene when one of Zuwanie's opponents is assassinated. Nicole Kidman does her best, but the character just descends into a spiral of inconceivability, Silvia's iciness most attributable to not knowing which revelation from her past will next become public, rather than any sense of mystery. Sean Penn does not stretch too much. His character is packaged with a basic level of personal anguish to give extra emphasis to the grimace on his face, but the role is almost too easy for Penn, his routine scowl sufficient for most of his scenes. Some emotion is generated between Silvia and Tobin, but it's more of a steady low voltage undercurrent than an actual spark. Filmed at the United Nations and in New York City, The Interpreter enjoys appealing locations and an air of heightened sophistication. While the premise is grounded in familiar headlines, the final execution loses something in translation.